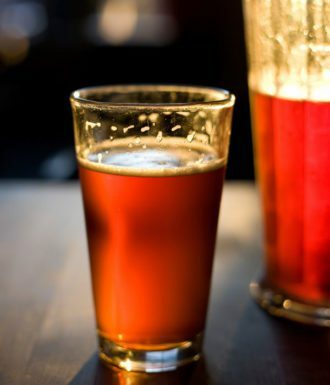 The Pacific Northwest may not have invented the India Pale Ale (the hop-forward beer style often known for its assertive bitterness), but the region has certainly become the beer style’s adoptive home. Here are 10 of our favorite IPA interpretations brewed throughout Oregon and Washington. The flagship beer for Bend, Oregon-based 10 Barrel (they also have a second brewpub in Boise), this IPA unleashes big hop flavors ranging from piney bitterness to cut grass and fresh citrus. A favorite of hop heads across the Pacific Northwest. Prep your palate for a hops-on-hops explosion in this big IPA from Puget Sound’s American Brewing. Its citrusy, floral hop aroma and serious hop flavor finds balance thanks to a subtle malty sweetness on the finish. This honey-hued IPA from Bellingham, Washington’s Boundary Bay brewery is assertively hop-forward with notes of pine resin, grapefruit and dried herbs. Ashland, Oregon’s Caldera Brewing crafts not one, but three different India Pale Ales. Crack a can of the brewery’s classic IPA for balanced piney bitterness (thanks to a trio of hops) met by a rich malty spine. Dubbed a “Northwest pale ale,” this copper-colored seasonal from Deschutes drinks like an IPA thanks to a heavy dosing of Cascade and Centennial hops. Fresh and citrusy, it’s a good beginner brew for those ready for to take the style for a spin. Red ale meets a double dose of hops in this India Red Ale from darling Pacific Northwest brewer, Double Mountain. Balancing hop bitterness with a sturdy malt base, it’s subtler than some of the more aggressive IPAs of the region. Putting a hop-focused spin on a classic English-style pub ale, this bold IPA is reinforced with Chinook, Amarillo and Centennial hops, lending a firm bitterness to the finished brew. One sip, and suddenly the name makes sense. Hops dominate the palate lending flavors of fresh-cut flowers and citrus, while a trio of malts add depth and structure. Okay, so it’s not technically an ale, but this India Pale Lager from Spokane-area Orlison is a Pacific Northwest brew through and through, with nine whopping hops added in three different stages during the brewing process. The recipe for this new release from Portland brewing brothers Kurt and Rob Widmer calls for more than two pounds of hops per barrel, including beer-geek favorite, Nelson Sauvin. 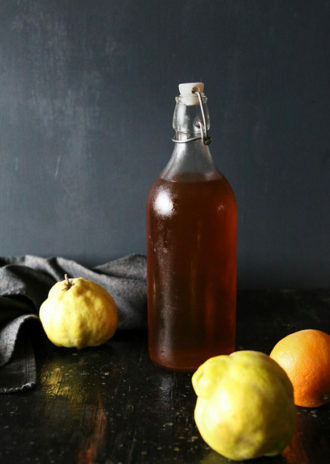 The flavors of fall infuse this homemade fruit liqueur from chef and blogger Brandon Matzek.